But resurrection is a tricky business, full of pain and sacrifice. To gain worshipers, Vladawen manages to start a religious war in the land of Darakeene and gains the dubious patronage of Belsameth, Goddess of Lies and Murder. Now, Vladawen’s only chance to secure his fledgling religion is to find the lost relics of his god-and forsake those he loves the most. 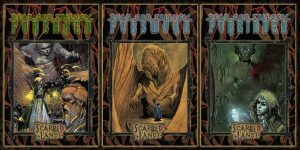 A huge sale on all Vampire: The Masquerade, Werewolf: The Apocalypse, and Mage: The Ascension PDFs from every edition begins very soon on DriveThruRPG! Keep an eye on this blog for more details when it goes live! 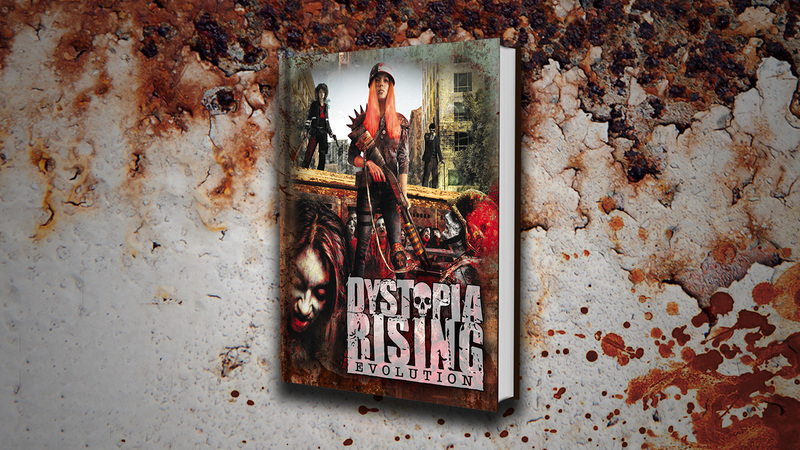 Our Kickstarter for Dystopia Rising: Evolution, the 2nd edition of the Dystopia Rising tabletop RPG, launched three weeks ago today! We hit our goal in under a day, and are currently sitting at $33,221 (166% of the goal), with 596 backers. There are 8 days remaining to join us as we push back the undead hordes!